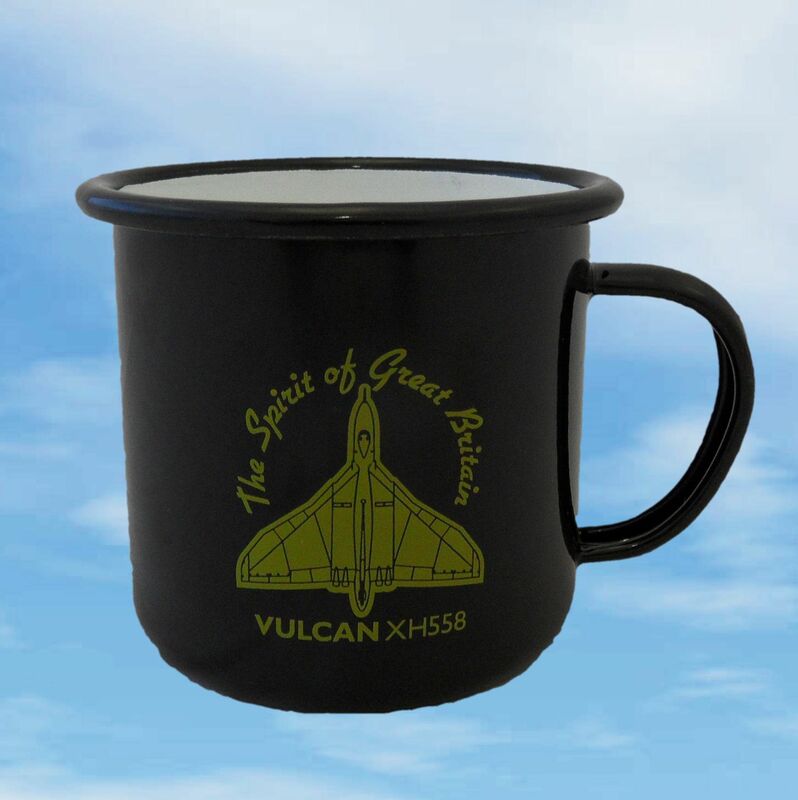 A classic British retro style mug. The black enamel mug has a classic white interior. 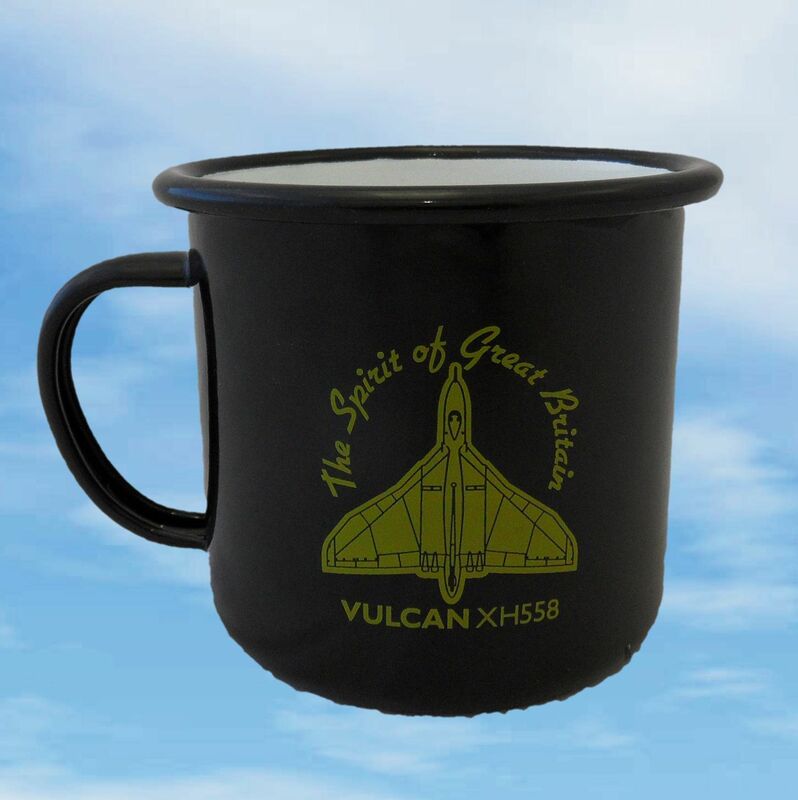 The recognisable Vulcan planform along with "The Spirit of Great Britain" and "Vulcan XH558" text are printed on both sides mug. For indoor and outdoor use - ideal for the garden, camping and picnics.